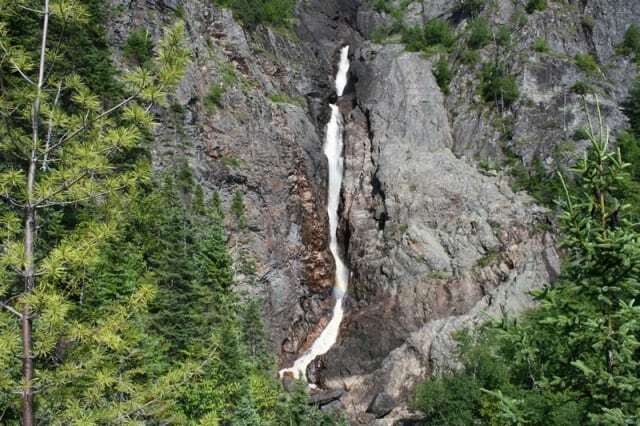 Rattling Brook Falls is located near the small town of King's Point, Nfld, Canada which is south of Baie Verte. 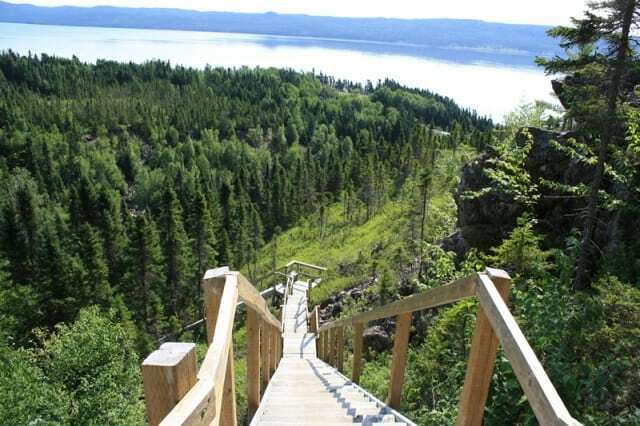 The short 1 kilometre dirt and boardwalk trail (with stairs) connects to some full frontal views of an 800 foot waterfall and Green Bay. There are side trails to the top of the falls and to the bottom of the falls. What are the Top Things To Do, Activities, and Adventures enjoyed at the Rattling Brook Falls? 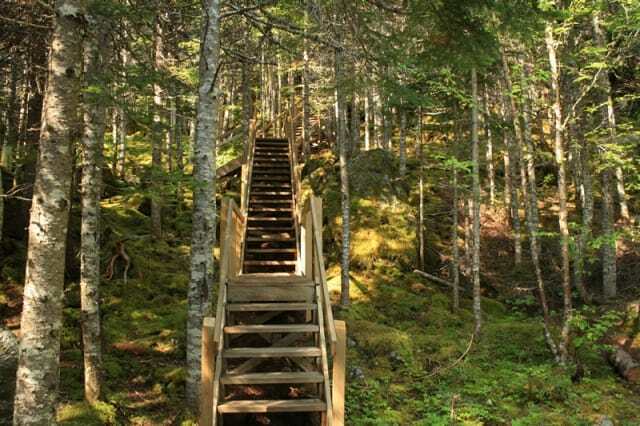 Rattling Brook Falls adventures, and activities most enjoyed includes hiking, sightseeing, picnicking, camping and iceberg watching (depending on season). Why Rattling Brook Falls near King's Point, NFLD? Because for people like us who love waterfalling, it was a no-brainer to check this one out and it was well worth it. 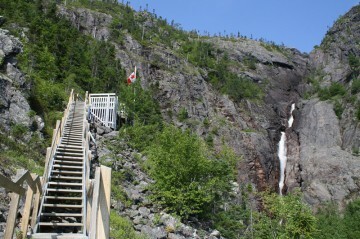 There are some sections of stairs to the lookouts of the falls. What are the features, and amenities provided at the Rattling Brook Falls? 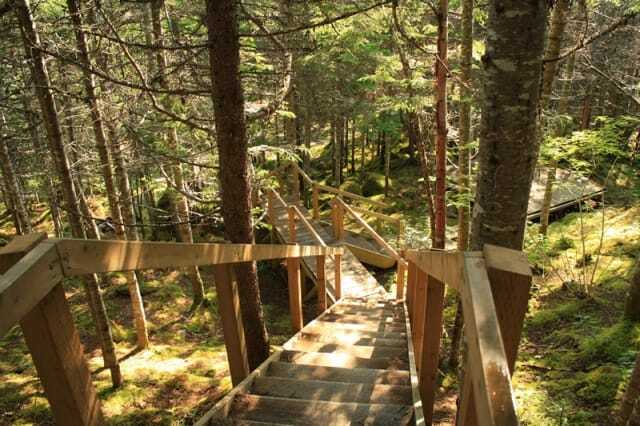 The more important, some would say only, features, amenities, services located in and around the Rattling Brook Falls includes a trail sign, boardwalk, day use picnic area, tent pads, and parking. There are no services here so prepare properly. 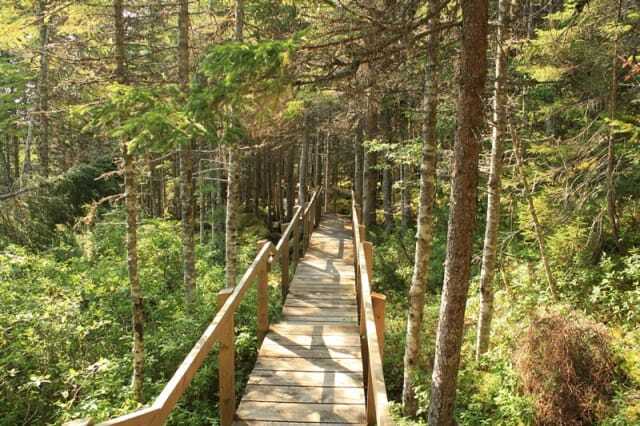 How to Get Here: From downtown Baie Verte, Newfoundland, Canada it is a 104 kilometre (1 hour, 27 minute) drive south on Highway #410, then northwest on highway 391 until you reach King's Point. Take Main Street (Highway 80) to the Rattling Brook Falls trailhead.